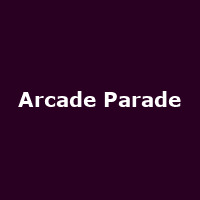 Arcade Parade are a 4 piece rock/indie band from Shropshire, consisting of brothers Ollie and Elliot Scott, Jacob Ferguson and Dan Byrne. 2012 winners of the Shropshires Next Big Thing competition run by BBC Introducing in Shropshire and the Shropshire Star. The band are featured regularly on BBC Introducing in Shropshire and in November 2012 released their debut single 'Cave of Swimmers' with the EP of the same name set for release in May 2013, produced by acclaimed producer Gavin Monaghan (who has worked with Editors, The Twang, Kings of Leon, Robert Plant).